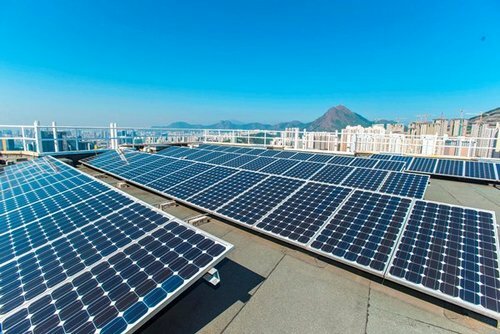 Secretary for the Environment KS Wong made a statement on April 21 that the government will provide incentives to Hong Kong's two power companies to support renewable energy initiatives through the new Scheme of Control Agreement. He said: "Through the new Scheme of Control Agreement, we provided certain push, or incentive, to the two power companies, to support more energy saving and renewable energy initiatives in Hong Kong." To promote renewable energy development, the government will set the Feed-in Tariff rates at $3, $4 and $5 per unit of electricity depending on the generation capacity of the renewable energy system concerned. Mr Wong said the government studied overseas practices, adding the rates are comparable with other places in the world. On the Renewable Energy Certificates to be sold to corporations and the public, Mr Wong said the price will be one of the major considerations. "So we are making reference to overseas practice. Usually they would set the Renewable Energy Certificate's unit price to be a certain portion of the normal residential tariff. "By setting this kind of attractive Renewable Energy Certificate price, they can be more conducive to more people to purchase and support low carbon transformation." The power companies will do more promotion to attract people to buy the certificates, he added.